Faux fur with fringe top and matching pants. 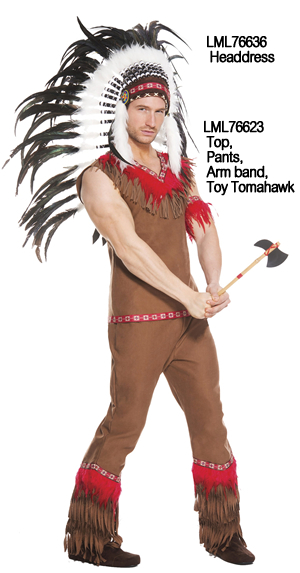 arm band and toy tomahawk. 別売 ヘッドドレス LML76636.